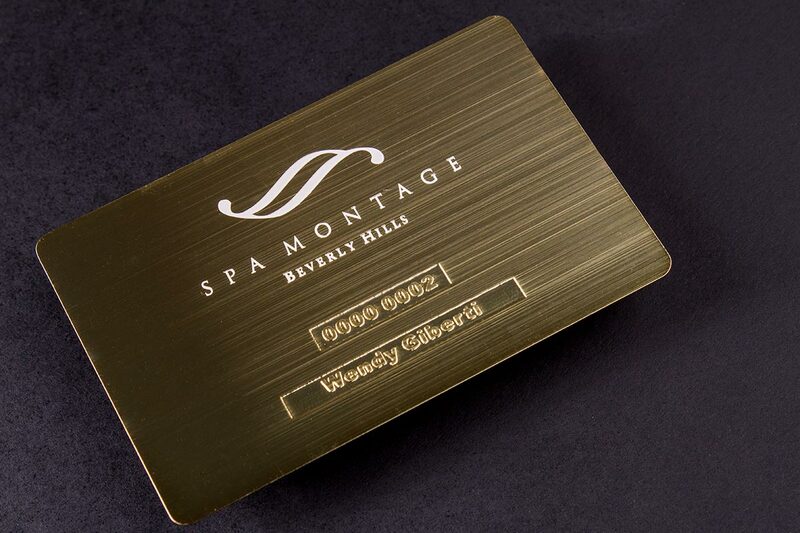 Combine our gold metal business cards with a variety of available enhancements to create the perfect, luxurious design. 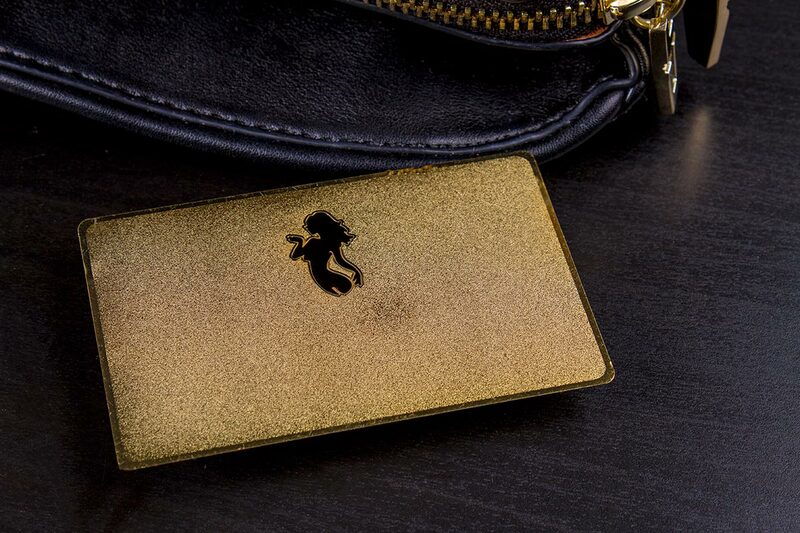 The gold metal business cards are crafted from 0.5mm anodized stainless steel. Custom die cut is included in the price. Choose the quantity of your business cards between 100 and 1000. 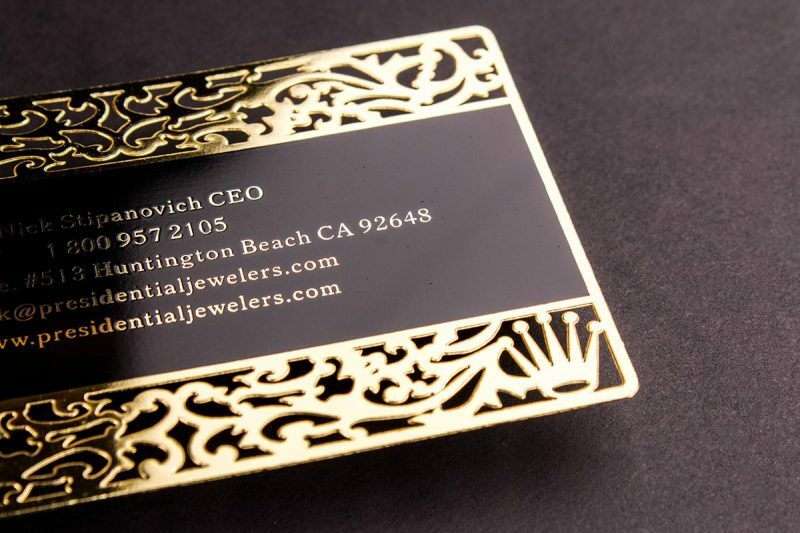 Our black metal business cards are printed on a 0.5 mm metal. 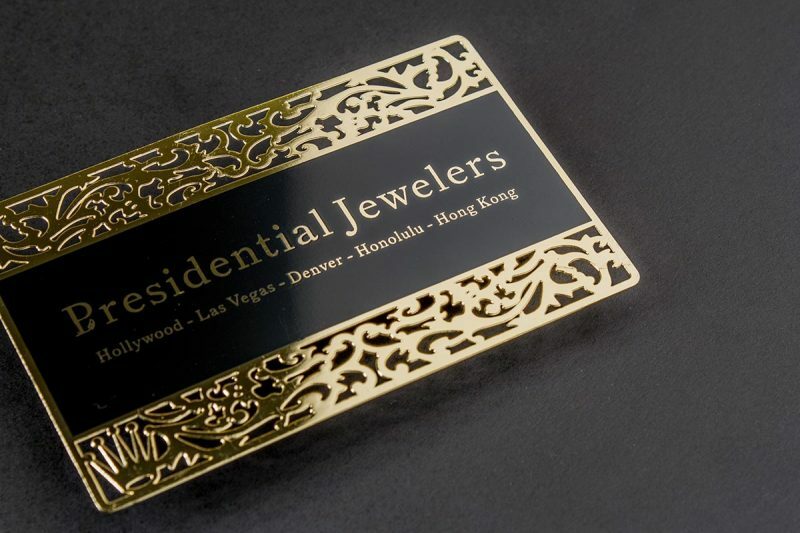 Choose whether your business cards should have front or back laser engrave. 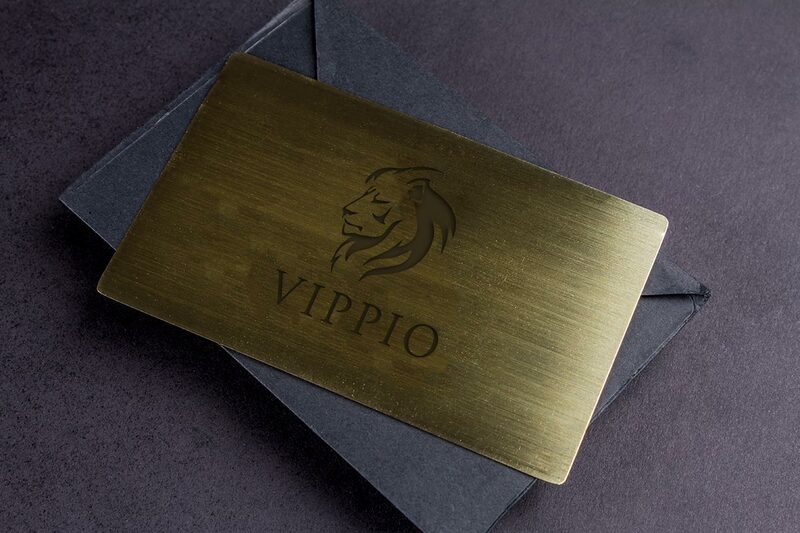 Choose the variable data for the front of your business cards. Choose the variable data for the back of your business cards. 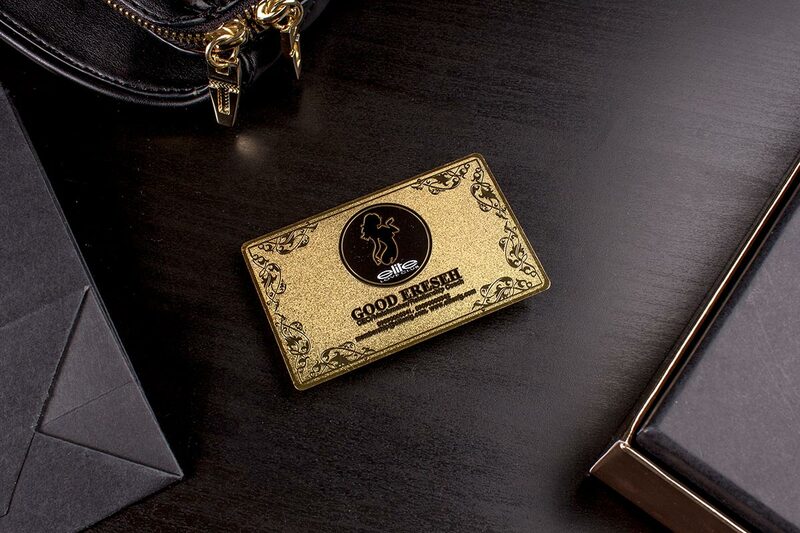 Choose whether you'd like your stainless steel business cards to have spot colors on the back. 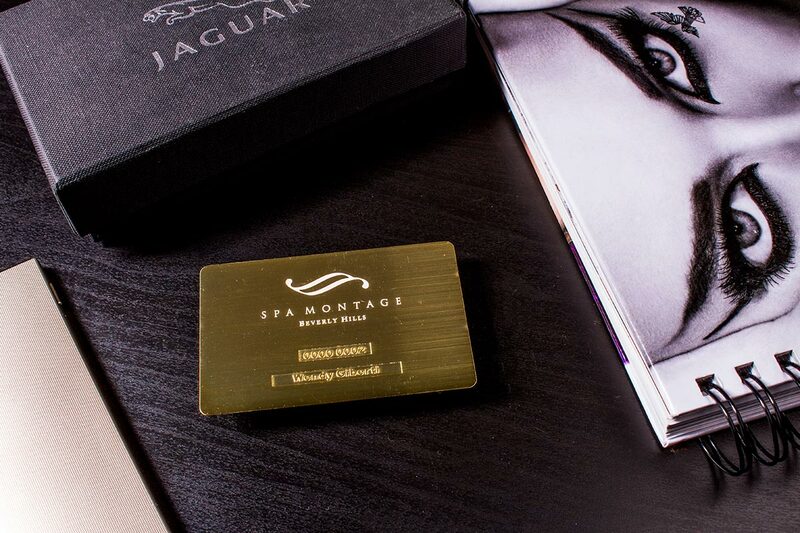 Our iconic Gold Metal Business Cards are a perfect reflection of luxury and elegance. 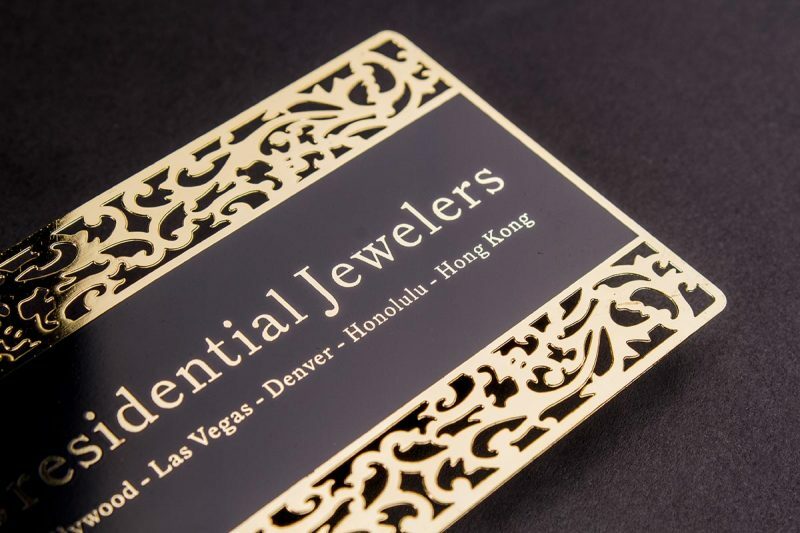 Style your business card with engraving, pattern artwork, die cut and many more to stand out from the crowd and ensure a long lasting impression on your clients and partners.